We're kicking off our Summer guest blogger series! We are excited to be sharing posts from several awesome kid's bloggers this summer. We hope you'll love their posts and head over and check out all the other great ideas they have to share on their Facebook pages and blogs. 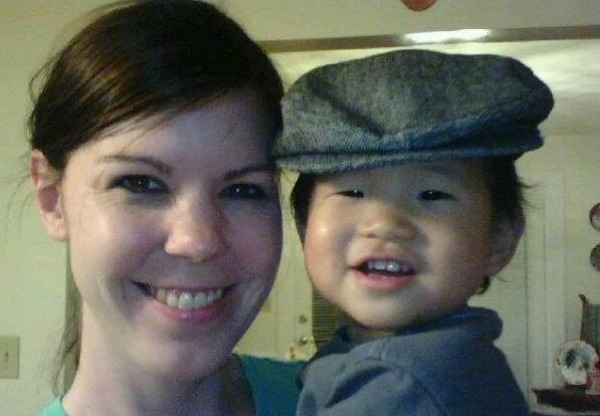 Today's guest blogger is Gina from Famiglia & Seoul. She is sharing about an outdoor challenge and a great way to embed reading into outdoor activities! On April 1st of this year, my toddler and I began an outdoor challenge. Each day, no matter what the weather may be, we would spend at least 15 minutes outside together playing, moving, eating, or doing whatever struck our fancy for that day. That's right, 365 days outdoors! So far, we are loving every minute of the time spent enjoying all nature has to offer. Some days we may not have a specific activity in mind for our 15+ minutes, but we love to take books out to read on the patio or flip through while we relax on a blanket in the grass. It's always nice to have a little activity to go along with the story to help bring it to life. Instead of trying to scramble through the house to find a good book and supplies with the little guy underfoot, I decided to put together an Outdoor Literacy Bag to keep in the closet right beside the door. That way, all we have to do is grab it and go! To start out I chose two books that related to the theme of our challenge and decided I would swap them out every two weeks or so. (Remember, this Literacy Bag is only used at random, not every day.) You can include any books that you like, but for the first round I picked "Birds" by Kevin Henkes and "I Like Bugs" by Lorena Siminovich. I hope to show my son how reading can inspire nature exploration, so that was on my mind as I gathered up materials for our bag. Another facet I felt must be included was something to get us moving! Any time I can get my toddler to use up some of his energy is time well spent. Let me show you the materials I included, as well as the activities, for each book. The first book, "Birds" is amazing. 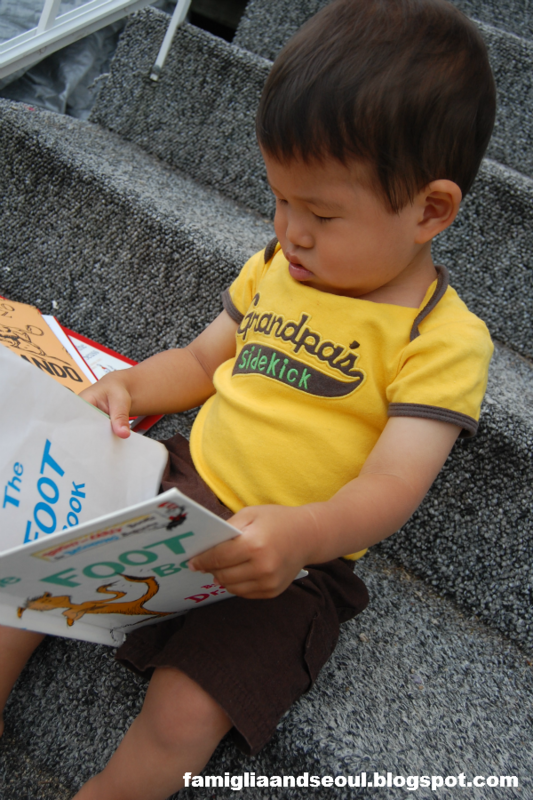 The illustrations are so colorful and vibrant that it always catches the attention of my son. He is very much a bird watcher already, so I added a pair of kid-sized binoculars that he can experiment with while we walk around the area looking for birds. To be able to observe them, you need to draw them into your yard. What better way to attract birds to the area, then by feeding them? In our kit is a small baggie of Cheerios and a few strands of string so that we are able to make little cereal rings to hang on a tree. This gives the little guy some practice with his fine motor skills as well as filling the birds' tummies. Finally, I added a little clipboard with come coloring pages of different birds, along with a box of crayons. Bringing an indoor activity like coloring, outdoors sometimes helps children who are not nature lovers to get a taste of fresh air at some point during the day. If your child is a little older than my (almost) two year old, this clip board would be great for sketching pictures of the birds they spot during the day. You could even toss in a bird identification book to the bag, so they could look figure out what type of bird they are drawing and label it to create their own little bird journal. The second book, "I Like Bugs" is a fun touch-and-feel book that also introduces counting. My little guy doesn't quite have an affinity for bugs, but a great way to help him feel more at ease is simply by observing them. Included in the bag is a small insect hut with tweezers to take when we go on a bug hunt. 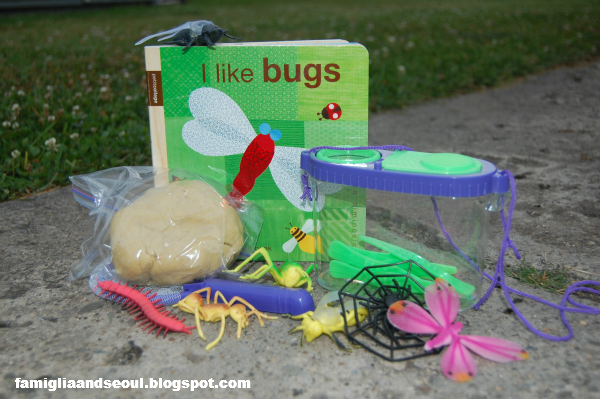 Kids can learn how to carefully handle bugs and place them in the hut to observe. (This is where that clipboard could come in handy for the older one to illustrate again!) Another activity to get my guy moving is Insect Charades. I tossed in a couple of plastic bugs that we can pull out after reading our story. For the younger kids like him, this is a great time to introduce vocabulary and act out the ways that each bugs moves by jumping, crawling, or flying. You could even discuss sounds they make as well. Once they have a good grasp on the names and actions, you can take turns guessing which insect the other person is acting out! Finally, I threw in a baggie of home made play dough that also can be used with the plastic bugs. 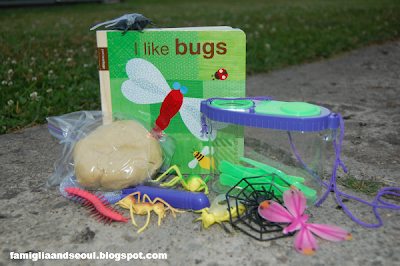 Since this is a counting book, you can use the dough and insects together to practice numbers. Ask your child to make one impression of a bee or two impressions of a spider while they have their hands in the play dough. Both of these books can be read over and over again during the two week rotation either by Mom or by the little one if they are old enough. Nature walks are a great way to allow the kids ample opportunity to bird watch or collect insects. You could also sing a couple of nursery rhymes during your walk for fun, like The Ants Go Marching or Sing a Song of Sixpence. 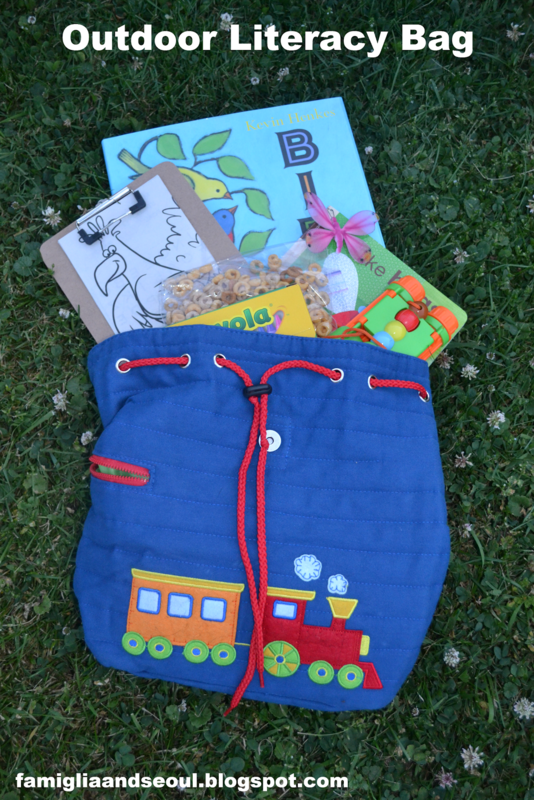 This Outdoor Literacy Bag contains enough activities that they can be spread out at different times during the week. One day, take that nature walk and see what you can spot. The next time you read the book pull out the play dough and get your hands messy! When the kids are ready for new books, simply flip through your library to see what to explore next. Rain? Gardening? Clouds? 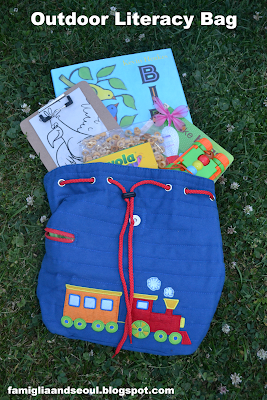 I always try to think of an outdoor activity that my son enjoys and build the Outdoor Literacy Bag from there. If there's a new topic you would like to introduce to the kiddos, you could also take that route. The possibilities are endless. Plus, don't forget, you only need 15 minutes outside to reap all of the benefits of being outdoors! Gina began Famiglia & Seoul as an online diary to her son as a way capture the memories that her and her family share during their 365 Days Outdoors. Gina feels it is important for parents to help nurture the soul of their child through nature, the arts, literature, meaningful play, and simply being a kid, while letting them explore and develop their unique talents along the way. You can find Famiglia & Seoul on Facebook and Pinterest. If you missed any of our recent guest blogger posts, just click the link below and catch up! PS- Our July Toddler Approved Newsletter will be sent out on Tuesday!! I am so excited to share a few of my favorite finds from around the internet with you! Did you catch my post on Wednesday about getting your kids to eat their veggies? It was part of my summer BabbaBox series sponsored by BabbaCo. This month BabbaCo is offering Toddler Approved readers a special 1 cent deal on their monthly and annual BabbaBox subscriptions. You can enjoy your first box in a monthly or annual membership for just 1 cent! Just type in this code at checkout: TA1CENT Click here to sign up now! The 1 cent offer is only good until July 4th... so hurry! Do you like to tie dye? 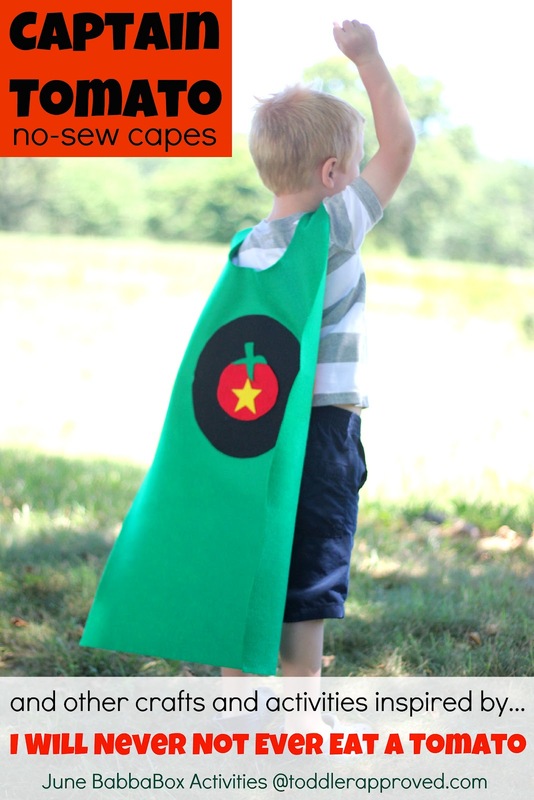 I'm the kid's craft contributor at Life Your Way. 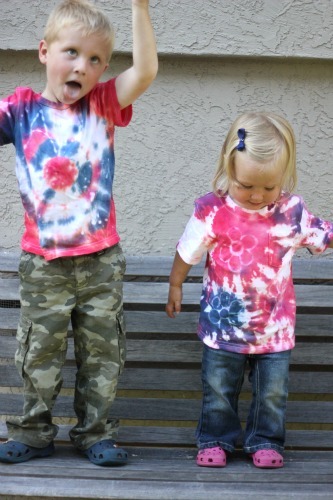 This month I am sharing three classic tie dye camp crafts with a twist. I'd love for you to stop by and share your favorite camp crafting memory from when you were little! What a great idea! I love ides that tie literacy and the outdoors together. Love it! Thanks for sharing! As a past teacher who is now a stay at home mom, I appreciate great learning experiences that provide for fun. With the exhaustion of being a full time mommy, I'm often stumped for ideas, so thank you for giving me a few! Such a great idea! We love reading outside on the back lawn. This would be a fantastic way to extend on that and as you say bring the book to life. I just saw this one on Jackie's round-up. 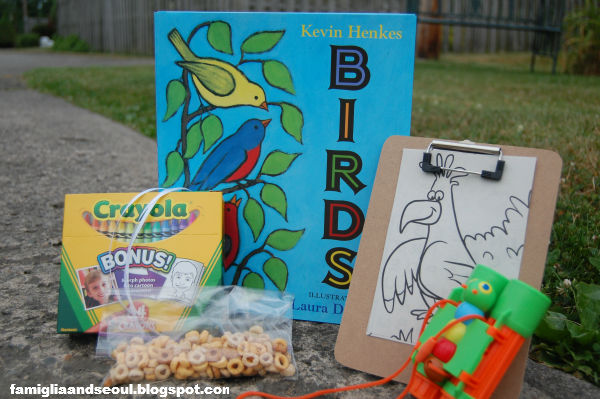 I love the idea of packing a literacy bag to take outdoors! I will have to try taking one along on our hikes this spring...when it eventually stops snowing. Thanks for sharing!